Simple syrup is an essential component in countless cocktails – but why stop there? Infusing your homemade syrups with other ingredients is a great way to introduce new layers of flavour and create something truly unique. 2012 World Class winner, Tim Philips, offers his top tips and reveals his favourite recipes to get you started. What do you think the secret to a great Tom Yum soup is? Or the key to preserving freshly harvested tomatoes for an Italian’s annual supply of Napoli sauce? That’s right: sugar. The culinary world, just like the bar industry, relies heavily on sugar to extract and preserve flavours from base ingredients. In high-end bars, sugar is rarely injected into cocktails to ‘make them sweet’, in the same way sugar isn’t added to Tom Yum to make it sweet – it’s used to highlight and complement other flavours. Unlike our culinary cousins, we bartenders deal mostly in liquids, so sugar in its granulated form is dissolved into a syrup for consistent bar use. Making your own flavoured syrups is a great way to add a depth of flavour to your cocktails and highlight the other ingredients in your serve. You can experiment with new flavours and offer your customers something extra-special in their cocktail that they may not have tried before. Crafting syrups that are entirely unique to your venue is also a great selling point and helps when making recommendations. Another huge benefit of making your own syrups is the cost! In general, making your own syrups works out a lot cheaper than bought syrups, so it’s a win-win for everyone! When it comes to cocktail basics, “how to make sugar syrup” is one of the most common Google searches amongst junior bartenders. Fear not! There are various different methods, but the easiest is to simply mix equal parts granulated sugar and water and heat until the sugar crystals have dissolved. The only rule you need to follow is equal proportions of sugar to water to ensure a consistent level of sweetness (unless your making rich simple syrup – more on this later). Keep your ratios the same – this also applies if you add herbs, spices or other dry ingredients to a sugar and water combination. Don’t overcook it – If making a syrup where heat aids flavour extraction (i.e. a tea syrup), be sure not to boil your syrup. Keep it below 100 degrees to avoid turning your syrup into a reduction. Cleanliness is key – Syrups ferment and go rancid over time but you can slow this process by keeping your syrups cold or adding a splash of high-proof spirit to the mix. Always use sanitised bottles that have been cleaned in boiling, soapy water beforehand. 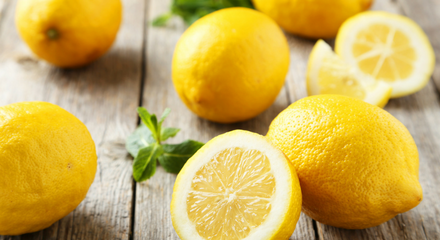 Ensuring your syrups are clean and cold will keep them fresh for up to a few weeks. A mainstay in every bar, simple syrup is quite possibly the easiest thing you’ll ever make. Kept in the fridge, it is also a quick and easy sweetener for iced teas and coffees. Once you’ve mastered the basics, you can try infusing spices, such as cinnamon and ginger, or substituting the white sugar for demerara for a richer, caramel-like flavour. For a rich simple syrup (2:1 ratio), just double the quantity of sugar. A must-have addition to your syrup repertoire, orgeat is commonly used to sweeten Tiki cocktails such as the classic Mai Tai and Fog Cutter. If you’re looking for a quick, no-fuss alternative, try substituting the almonds for almond milk and a little almond extract. Sit for 3 – 8 hours to allow time for diffusion. Looking for more handy bar tips and tricks like this one? 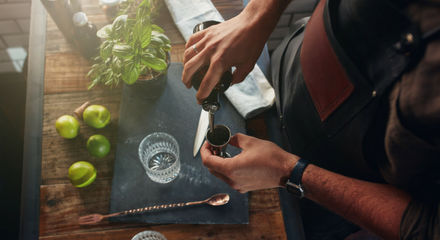 Sign up to Diageo Bar Academy today for exclusive access to all the latest trends and recipes to keep your bar knowledge up to speed! Upselling is a vital skill for any top bar professional to have. Marian Beke, leading bartender at The Gibson Bar explores the world of mocktails. Dead Rabbit's Jillian Vose talks trends, career and cocktail recipes. Make sure your venue's website stands out from the crowd!